Evergreens provide year-round color and texture. 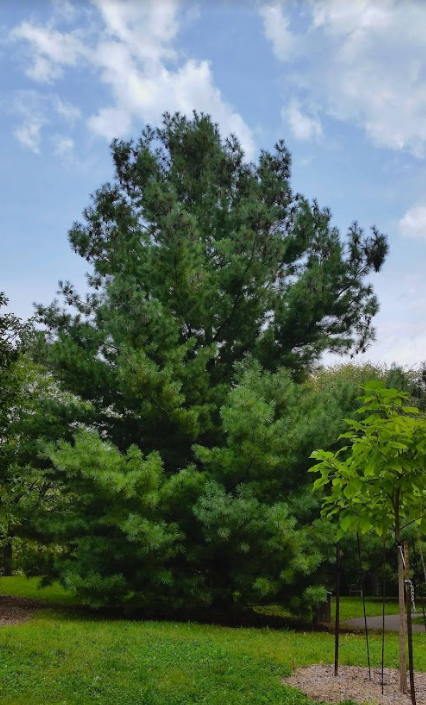 Planting and caring for evergreens takes an investment of time and money, and so it is important to make the right decisions when choosing these plants for your yard. 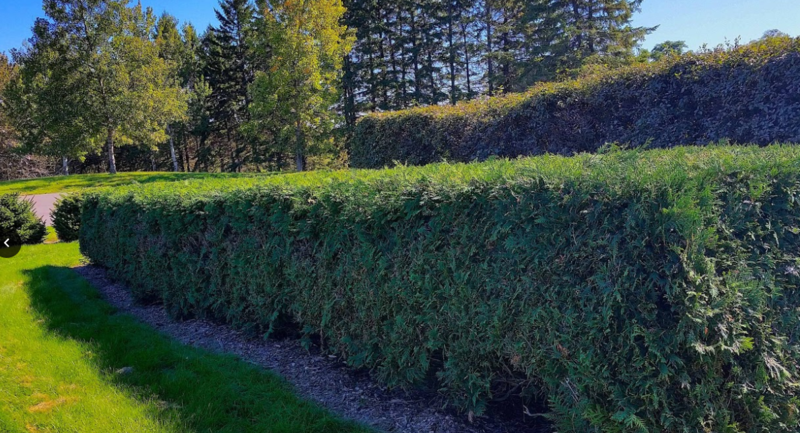 To choose evergreen trees and shrubs for Minnesota landscaping, you need to be familiar with your growing conditions — hardiness zone, light, soil type, space for planting — and what type and form of evergreen you would like to plant. Evergreens can be conifers (cone-bearing, needle-like foliage) such as pine, spruce, juniper, or arborvitae. They can also be broadleaf (leaf-like foliage) such as boxwood and rhododendron. Nursery grown evergreens are slow growing and can be expensive due to years of care needed to produce well-shaped tops and ample root systems before trees are sold. More years of care will be required after the evergreen is transplanted to a landscape. If you make the right choice at the beginning, not only will you save time and money, but your landscape evergreens will provide years of pleasure. Cold hardiness zones 3 and 4, and some zone 5 in Minnesota. Avoid extreme exposure to northwest winter winds and southern exposures. Soil pH of neutral (7.0) to slightly acidic pH (6.0-7.0). 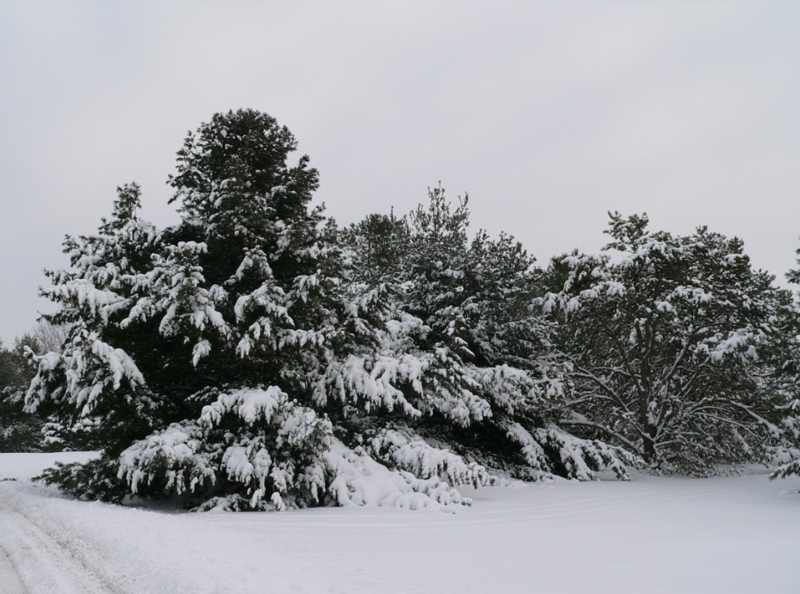 Some evergreens are tolerant of less than ideal growing conditions. Always choose plants with growing requirements that match the conditions of your landscape. Large evergreens provide an excellent backdrop to artwork. Spruce, fir and arborvitae are pyramid-shaped evergreens that may cover a circle 30 feet in diameter when they reach full maturity. Pines are also pyramid-shaped as young trees, but as they mature they often lose lower branches, resulting in open space beneath. Depending on the species, pines can reach 50 feet or more in height. Pine roots fill a large circle of soil under their foliage, making it difficult to grow turf and other plants underneath these trees. 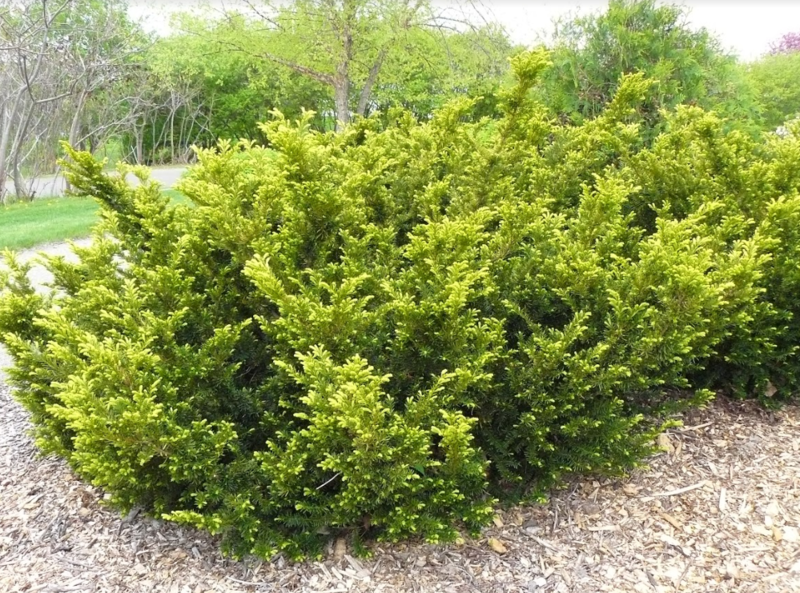 Boxwoods can be sheared to maintain a globe or hedge form. If left unsheared, they have a spreading upright form. 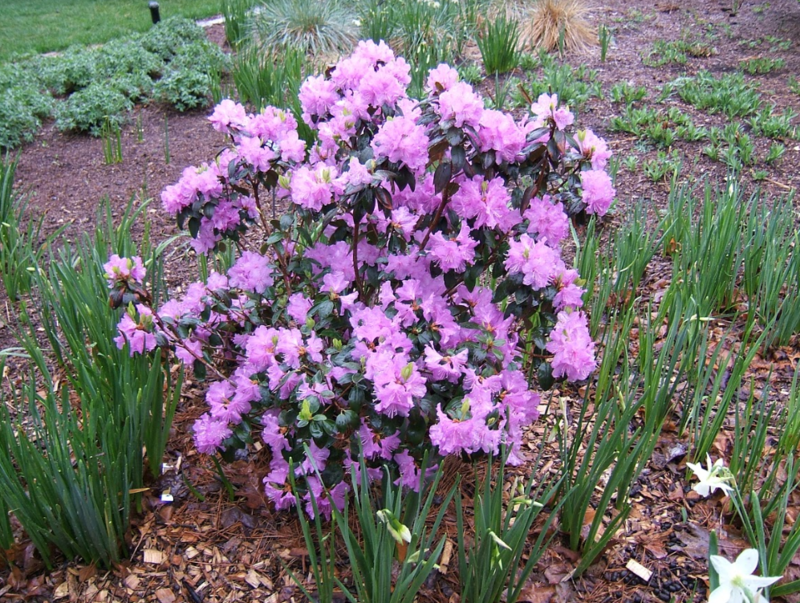 Rhododendrons are upright, spring-blooming shrubs. They have dark green leaves that stay attached to the plant through winter when they turn a darker green to bronze color. Smaller upright junipers or columnar arborvitae are often more in scale with residential sites. These evergreens will mature at 20 to 30 feet, with a spread of 5 to 10 feet, depending on the variety. 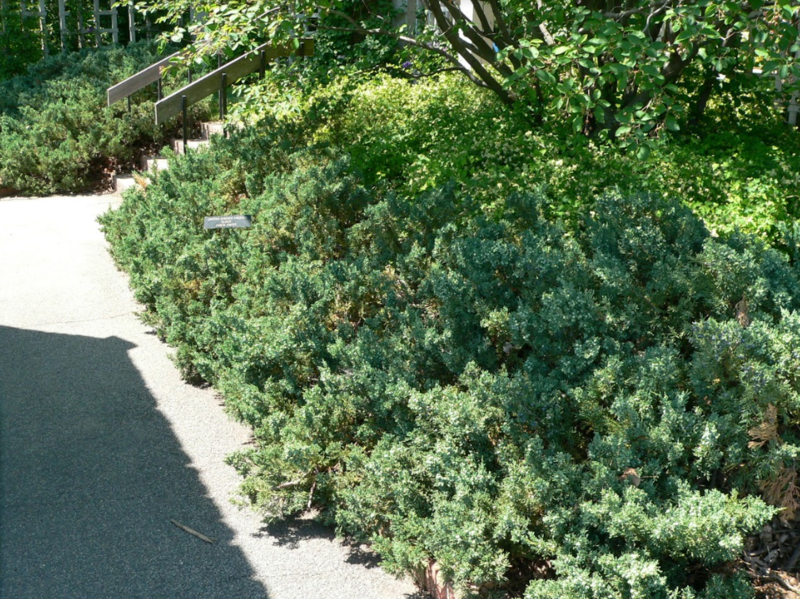 Juniper shrubs with horizontal shapes can spread to 5 or 6 feet in a few years. Heights vary considerably according to the variety. An 18-inch high skandia juniper is far more useful under a ground level window than its 5-foot relative, savin juniper. 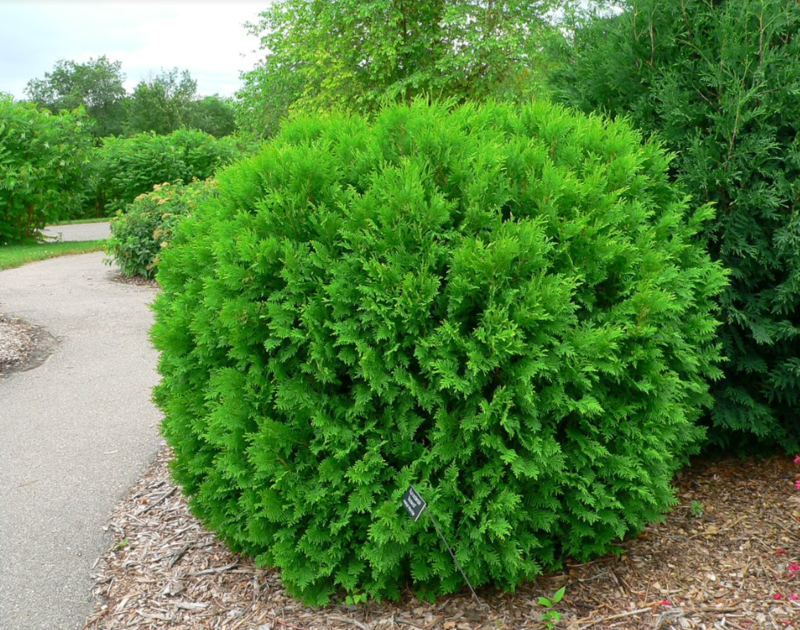 Japanese yews are often pruned tightly to keep them at a desired height or width, but some selections will grow into 20-foot trees or very wide shrubs over time. Evergreens come in many different forms: pyramid shape, spreading, open, prostrate or creeping, mounded, rounded, upright, weeping. Evergreens also provide year-round color and texture in a landscape making them excellent accent plants. This is an important plant characteristics in Minnesota and other areas with long winters. Sunlight is important to maintaining foliage color. Age of the growth may affect color. For good visual appeal, avoid combining evergreens with the same or very similar colors, textures and forms. Concolor or white fir is good alternative to Colorado blue spruce. 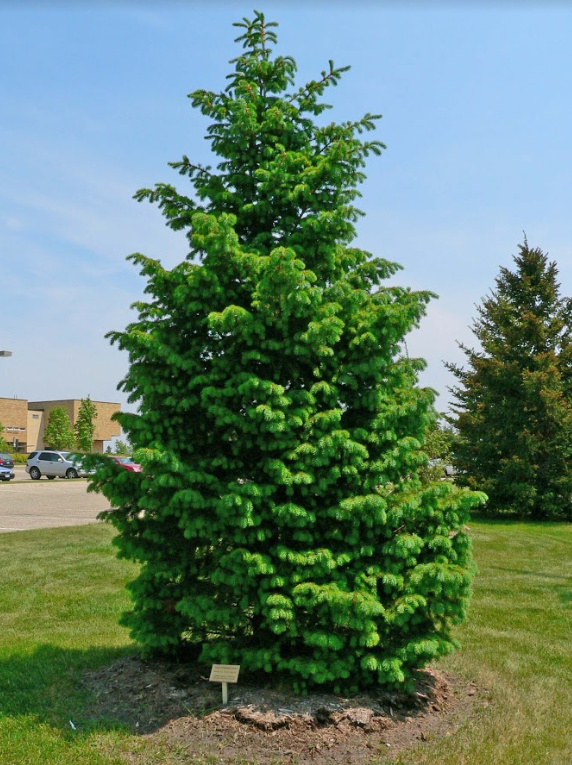 Colorado blue spruce (Picea pungens) is no longer recommended for Minnesota landscapes due to its susceptibility to several debilitating spruce diseases, most specifically Rhizosphaera needle cast and Cytospora canker. Concolor fir (Abies concolor) and some white spruce are good large tree alternatives with blue-green foliage to Colorado spruce. There are also some blue spruce dwarf cultivars that are on the market as well, such as ‘Fat Albert’ (15 feet tall by 3 feet wide). Choose plants with growing requirements that match your site conditions. Plant disease resistant cultivars and varieties. Keep plants healthy through sufficient watering, healthy soil, and fertilizing according to a soil test. Consult UMN Extension Master Gardener volunteers or local nurseries about pest problems with any evergreen tree or shrub you are considering. 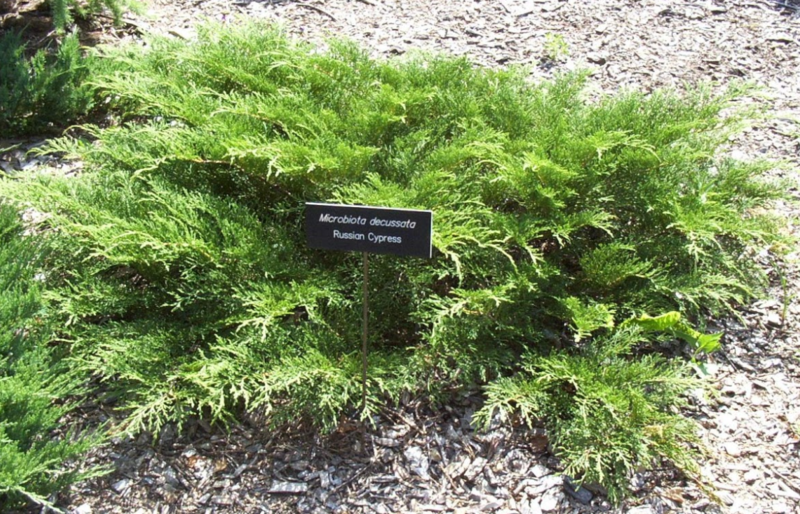 The following is a list of just some of the evergreens suitable for Minnesota landscapes. Be sure to visit your local garden center or plant nursery for more that may be available in your area.